I first learned about Zach Giffin’s traveling tiny house in 2012 during a visit to Jackson Hole, Wyoming. After skiing at the resort, Zach Giffin and fellow pro skier Molly Baker showed me their tiny home, which is built on wheels and towed by a truck, explaining that they’d drive to any resort where the snow was falling. The money they saved on hotel rooms enabled them to spend the entire winter completely mobile and responsive to the slightest change in weather. 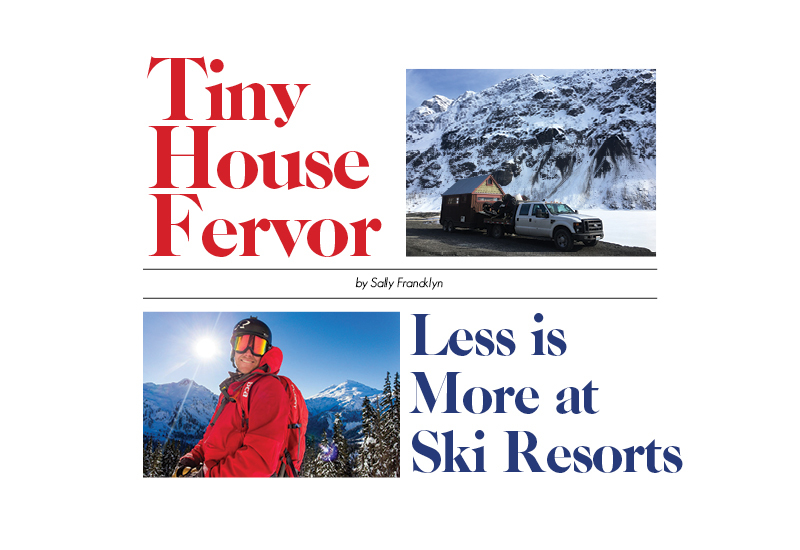 More than just a proponent for downsizing, Giffin has been a carpenter since high school, “Mostly to fund my addiction to skiing,” he says, and is using his experiences to support his passion for the winter season by hosting Outdoor Research’s Caravan for a Cause, which will profile tiny house dwellers at ski resorts and document their obsession with fresh snow. This article was originally published in RANGE Magazine Issue Eight.